Food Review: Marco’s Pizza | to be or not to be? 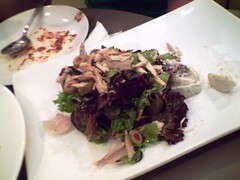 Everything starts with a nice rosemary chicken salad, which start up our engine (stomach) before moving onwards to another course…. 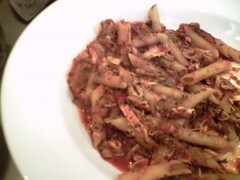 Funnily, instead of the spaghetti which I ordered earlier on, I was served with macaroni, ala Penne Royale. 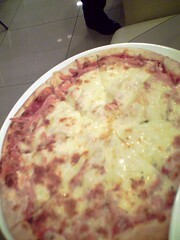 Lastly, a nice Macro’s pizza that is stuff with turky ham, plum tomato sauce and plentiful of mozarella (cheese).